Eurostar was nice and quick as always. We had to get the train to our hotel so I thought I was smart and would try an use the ticket machine but got the wrong ones haha never mind. 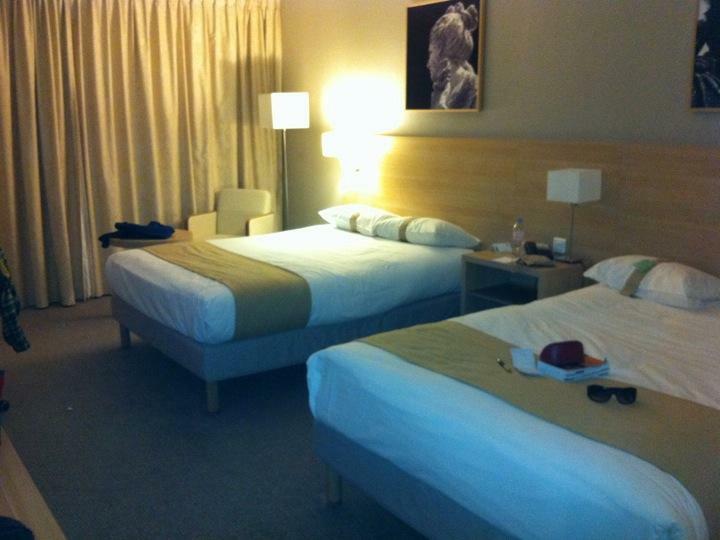 Hotel is nice big double bed each. They let us book for a second night at the same discounted price so that was good. People have been friendly so far only one rude person so that's not bad at all. It's really gonna take some getting used to my backpack, big bulky and ugly haha. Had a massive cheeseburger from room service just now it was so good. Quite a crazy day so far, the unexpected but let's see what tomorrow brings. David I hope you did not choke on that massive cheeseburger LOL.